Happy Monday! I decided to join in this month's Minis and More Parade with Sherri and Michelle. 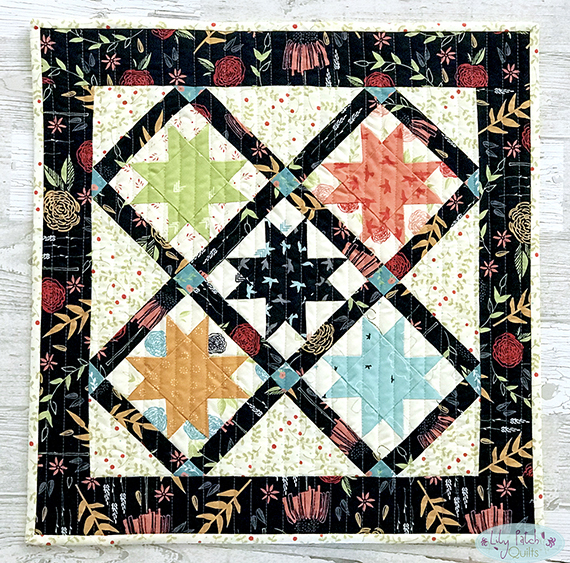 This month's pattern is from A Quilting Life called Hometown. I love making star blocks and this was really quick to put together. I decided to go for somewhat of a scrappy look so I chose all different fabrics for the star blocks. I was able to use a majority of the fabrics from the Creekside collection that I had leftover from my tote project last year. I substituted a fabric from another Moda collection for the quarter triangle pieces and binding, but it worked out really well because the colors match perfectly. I decided to make it easy and just quilted straight lines. The lines are about 3/4" apart. 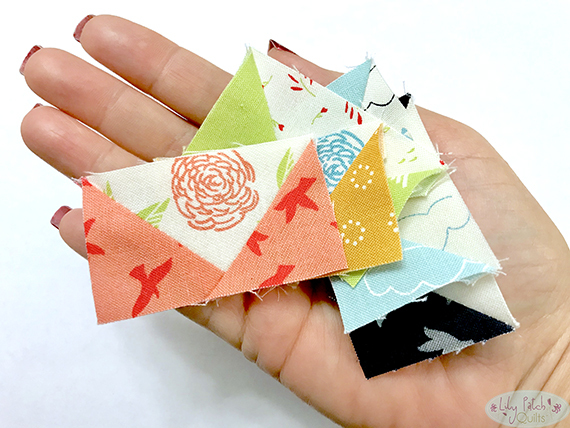 Check out more Hometown mini quilts on Sherri's blog in a few days. That is such a cute mini quilt, Kim. I love straight line quilting in one direction. This is lovely! 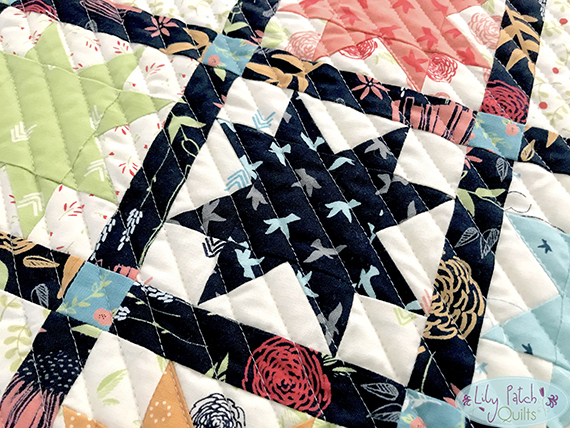 Straight line quilting looks great on it.